Museums, antique shops, trendy Spanish style boutiques, bodegas, bars and nightspots blend with un-touristy dollar stores, quirky shops, laundromats and aged businesses long gone in most modern cities. The result is a wonderful hodgepodge waiting for the visitor to explore. There are lots of cultural activities concentrated in vibrant city blocks where neighbors do business side by side. 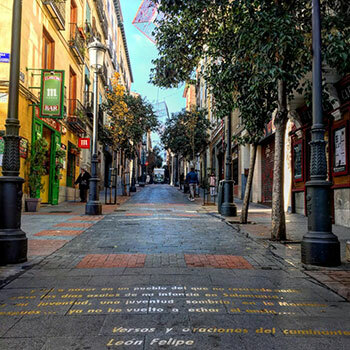 El Barrio de las Letras neighborhood offers visitors an engaging glimpse into Madrid and Spain throughout the centuries and today. 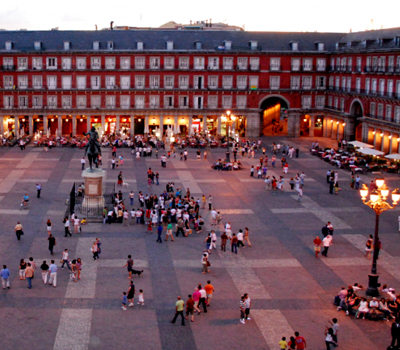 Hostal Gonzalo is located in the Barrio de las Letras neighborhood in the centre of Madrid. 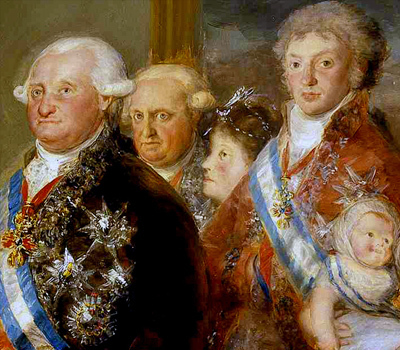 Here some of Spain's greatest literati have lived and written over the years. 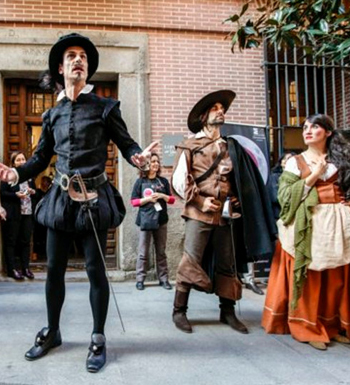 We're on Calle Cervantes, the street Spain's most famous writer Miguel de Cervantes lived. Regarded as the greatest writer in the Spanish language and one of the world's pre-eminent novelists. His major work, Don Quixote, considered to be the first modern novel is a classic of Western literature, and is regarded amongst the best works of fiction ever written. Today it is an area which combines literature, a bohemian atmosphere, entertainment, shopping, and good food. Many of the best tapa bars in Madrid are just minutes from Hostal Gonzalo. You'll find a good selection on Plaza Jasus, just around the corner. 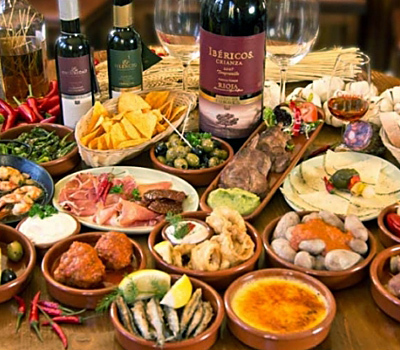 People love to eat in Madrid so do as the locals do, nibble and sample your way through our neighborhood. From Madrid’s oldest taverns to its modern hip hangouts, you'll discover something you'll enjoy nearby. 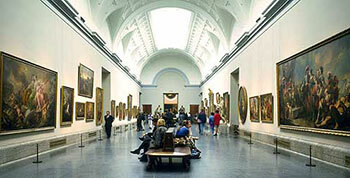 This area, known in English as the Art Walk, is nothing short of paradise for art lovers. Along a stretch of just over one kilometer you will find the Prado -one of the world's finest art museums, the Thyssen-Bornemisza and the Reina Sofia, as well as a number of other institutions and buildings well worth visiting. All just minutes from Hostal Gonzalo. Madrid is one of Europe’s most fascinating capitals with its well-preserved architecture and dozens of remarkable monuments and historic sites. Touring the Renaissance houses of its greatest writers, admiring the palaces and gardens of the Spanish Enlightenment, strolling past the grand houses and boulevards of the 19th century, enjoying quiet plazas and the café haunts of its artistic generations... There is always something new to find and explore. 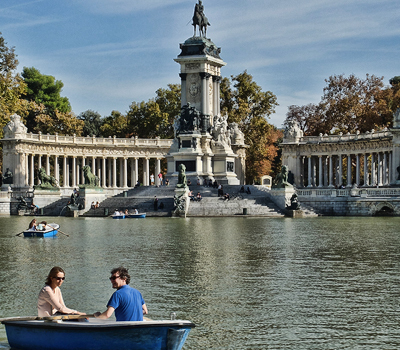 Retiro was created between 1630 and 1640 as a part of the Buen Retiro Palace, promoted by the Count-Duke of Olivares Philip IV’s favorite for the relaxation and amusement of the king. Today it's a place to walk, cycle or just enjoy... Ritero Park features monuments, landscaped lawns, park cafés and historic buildings such as the Palacio de Cristal. The park is one of the favorite places to visit in Madrid and from our hostel it's just a few minutes walk passed the Prado museum.